Pizza, the iconic meal you have with friends watching the game on the weekend, the family night out, the finger food at a party or a movie night with home delivery. It’s a sharing experience, a social dish! The sharing of pizza is not dissimilar to the sharing of meals in Asian culture which coincidentally resonates with Italian traditions also. The gatherings to strengthen the family bonds over a meal! Does Asia have a good pizza place? Of course, but how traditional is it? Pizza comes in different styles with a multitude of flavours and toppings. Dessert pizzas with icecream and chocolate, the affogato pizza and the latest trend, Japanese style pizza with a multitude of weird and whacky toppings including seaweed, kimchi, sashimi salmon and sauces such as mayonnaise, curry and BBQ. And who puts pineapple on a pizza right? How much more can pizza evolve. Well that’s up to the fancy chefs and their imaginations in individual mom and pop pizza places. I don’t know about you but give me the traditional Italian Napoli style pizza any day. The Grimaldi’s style steeped in its 120 year old history, simple yet complex enjoyed with the dulcet sounds of Dean Martin and Frank Sinatra in the background and gossip with friends and family. 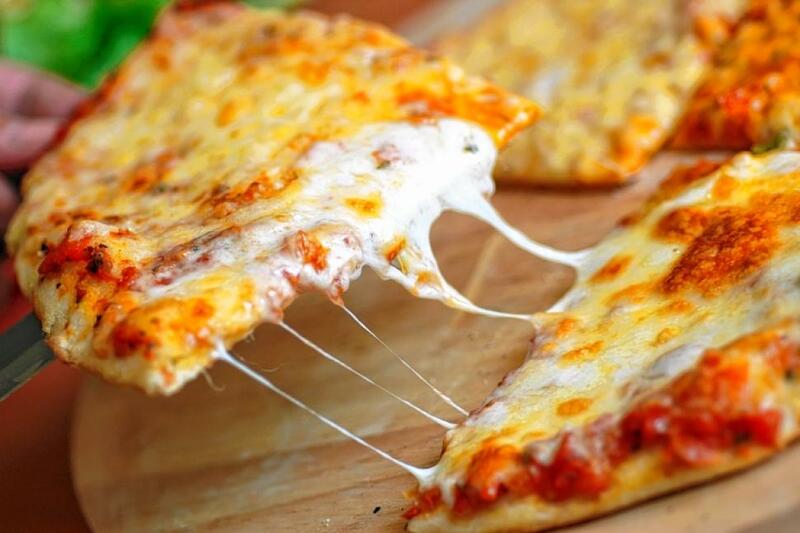 The tangy but delicate flavours of the tomato based sauce with the herbs and spices, the melted cheese that stretches with every bite, the crisp crust which acts as the plate holding the toppings that blend with the cheese and sauce. Then there is the subtle smokey taste that only a coal-fired oven can give. I’ve had my fair share of the usual take-out pizza and heck I worked for one company for 18 years but I’d still go the extra mile for that special Grimaldi’s pizza. Founded in Brooklyn, New York, Grimaldi’s Coal Fired Pizzeria has been consistently chosen as America’s undisputed favourite coal-fired pizza and is the most award winning pizzeria in the US. The signature 1200-degree coal-fired ovens deliver delectable pies and calzones, topped or filled with the freshest ingredients with a unique flavour and crust crispness that is just not possible from gas, convection, or wood burning methods. Grimaldi’s Coal Fired Pizzeria’s expansion outside of the US was announced recently detailing a 5 year, 5 restaurants deal with Tablez Food Company in the UAE. It’s Asia’s turn next with country licences available across ASEAN for dynamic F&B experienced investors to continue and share the Grimaldi’s tradition. Grimaldi’s Coal Brick Oven Pizzeria has proven with its 100 year plus history that is has a successful business model which is replicable in all international markets including Asia unlike the current mom and pop pizzerias across the continent trying to keep up with short term trends.